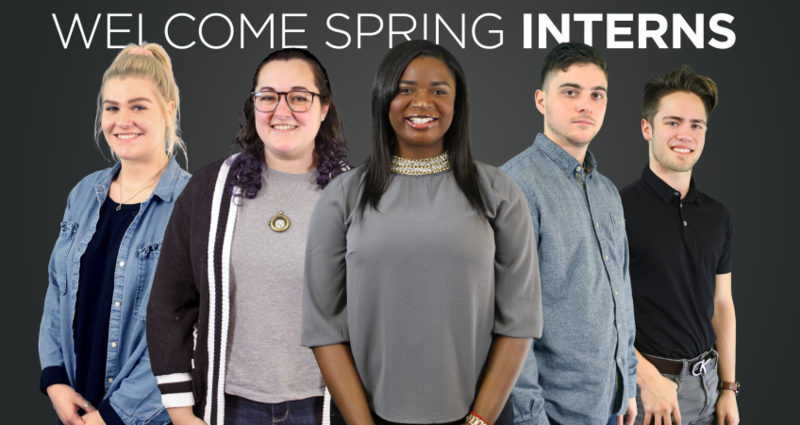 We’re excited to announce that we’re welcoming five new interns this semester from various schools and creative backgrounds! We chose from a selection of Communications, Marketing, Business, and Design Majors to accompany us on the first quarter of our 2019 journey. The interns will collaborate on day-to-day operations, work in tandem with our Coal Creative team to create content for clients, and ultimately learn new practical applications for the skills they’re acquiring through their respective areas of study. MarQuia Cumberbatch is a Senior Marketing major from King’s College who is excited to work with different companies while engaging with many social media outlets. She is thrilled to the idea of learning an endless amount of new skills and business techniques. Nevertheless, MarQuia is excited to work a dynamic group of creators, while making her internship experience the best one yet. Dana Takacs is a Temple University student, set to graduate in the spring of 2018. He majors in communications and is set on the production track. Dana enjoys creating content of all kinds and looks forward to meeting/working with new people. Samantha Bucher is a senior Mass Communications student at King’s College. She is excited to join the team of interns at Coal Creative this spring. She hopes to gain valuable design experience and help others in the community tell their stories. Anita Holmes is a Junior Mass Communications & Design student at Misericordia University, and is thrilled to be a part of CoalCreative for my Spring ‘19 internship! She’s looking forward to learning different skills within the field that are out of her comfort zone, and throughout the semester her goal is to narrow down my strengths and weaknesses in this field with hopes of finding a more general idea of what she plans to do in the future. Dominic Augustine is a Junior at Misericordia University and is currently aiming to receive his Bachelor’s degree in Communications. He has a passion for photography, videography, and social media (preferably Instagram) and loves to showcase his work whenever he is given the chance. His love and interest in these things are what drove him to Misericordia University to pursue his passions. After hearing that he would be interning at CoalCreative for the Spring semester of 2019, Dominic was more than overjoyed to get started! He is all about the workings of social media, graphic design, and video production and hopes to better develop his skills in each department. Dominic feels that through this internship with CoalCreative, he will walk out with a better sense of what his major has to offer, what career possibilities there are, and new experiences from working with an amazing team.